With ever increasing traffic on our highways and frequent delays caused by road closures and renovations, California government officials are taking action to reduce commuter drive time. Recently passed transportation bills have granted the State of California authority to allow certain vehicles with a single occupant, access to carpool lanes. Included in the list of qualifying vehicles are: Ford Fusion Energi, C-Max Energy and Focus EV models. Recent changes in legislation now allow drivers of clean alternative fuel vehicles to legally use carpool lanes when traveling without passengers. Carpool or High Occupancy Vehicle (HOV) lanes were previously reserved for vehicles with no less than 2 or 3 passengers. Now, qualifying vehicles with Clean Air Vehicle (CAV) decals, issued by the California Department of Motor Vehicles, can use HOV lanes to travel around traffic jams no matter how many riders are on board. 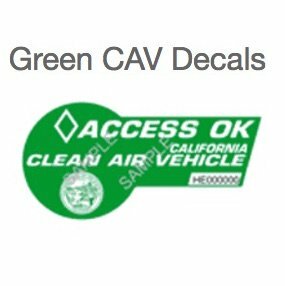 The California Department of Motor Vehicles currently issues two types of clean air vehicle decals. White decals are available for 100% battery electric, hydrogen fuel cell and compressed natural gas vehicles that meet Federal criteria as Inherently Low Emission Vehicles (ILEVs). Green decals are issued to vehicles that meet California Transitional Zero Emission Vehicle (TZEV) requirements. Both white and green decals have recently received an extended expiration date of January 1, 2019. Owners of older hybrid vehicles with yellow clean air vehicle decals should know that these decals are now expired. If you ready to start driving a more environmentally friendly car that will save you money at the pump and time on the road, we invite you to stop by Towne Ford and see the selection of Clean Air Vehicles in stock now. Our Ford Dealership near San Francisco, CA is happy to answer your questions and set up a test drive.